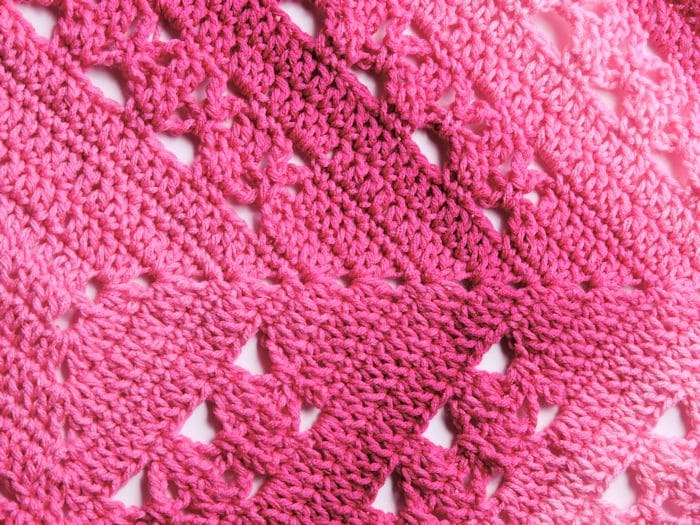 Post Stitch Cluster (cl): Skip current row and next row, [yarn over, insert hook to side around the back and out the other side of the single crochet directly below, yarn over, pull loop through, yarn over, pull through two loops on hook] three times, yarn over, pull through four loops on hook. 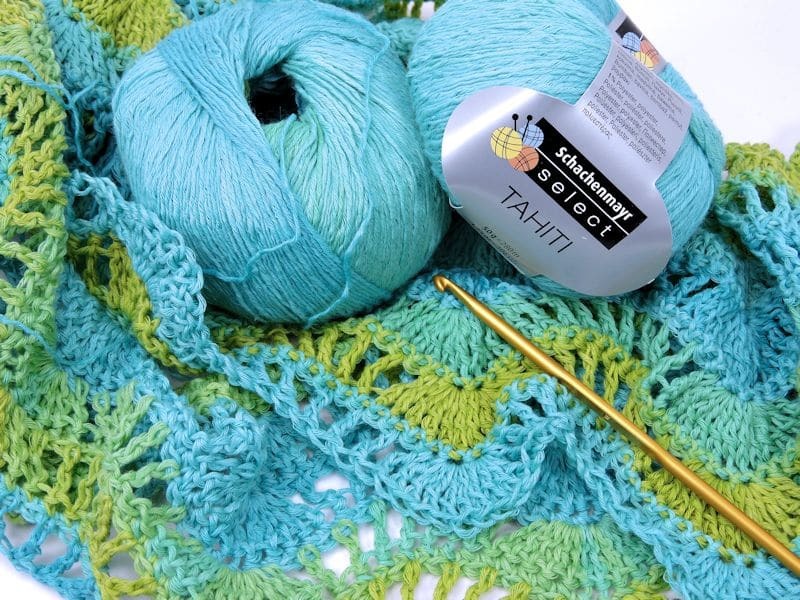 When making the next stitch in the instructions, skip the stitch behind the Cluster. 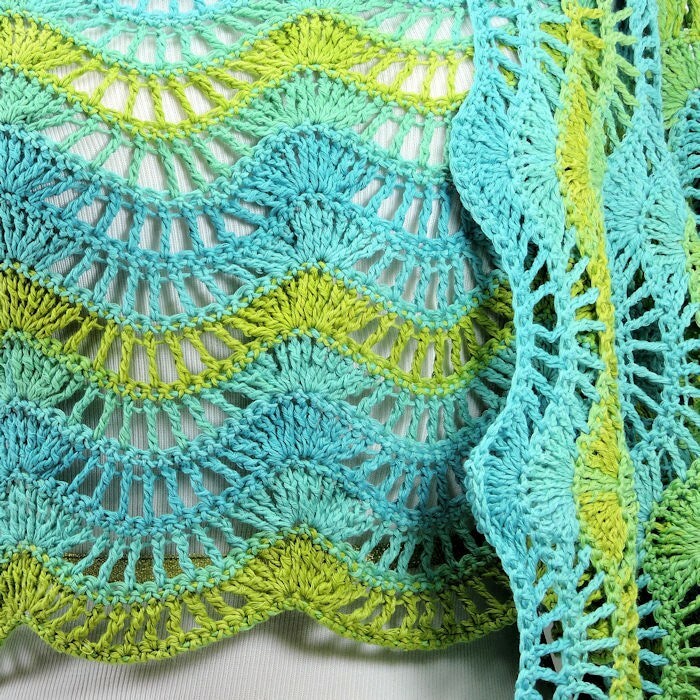 When you make two Clusters together, skip the two single crochet behind them. 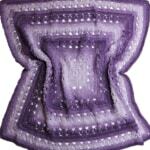 Project is made in the round in joined rounds, without seaming. 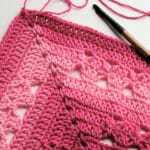 The number of stitches remains constant on each round. There is no increasing or decreasing. 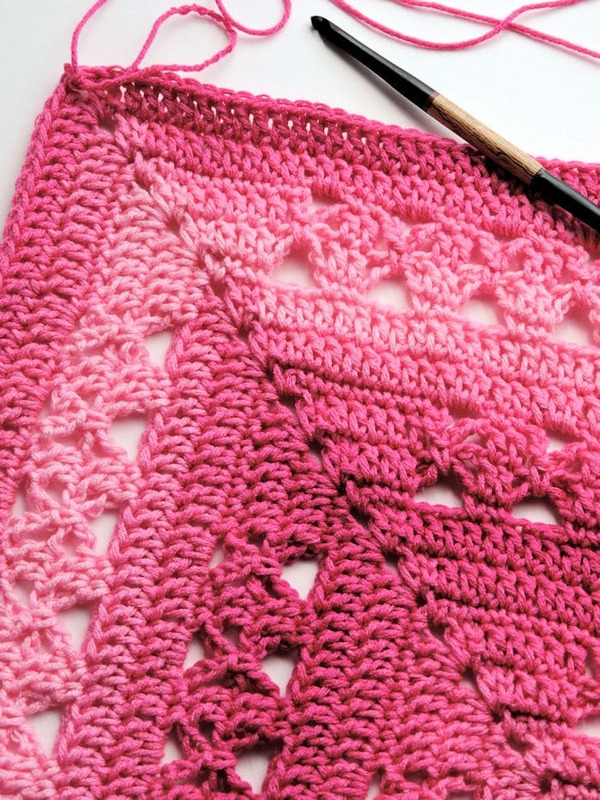 If you experience a change in number of stitches, you could either be changing the number by working into the joining slip stitch of the round or you may not be skipping the indicated stitches behind the clusters. 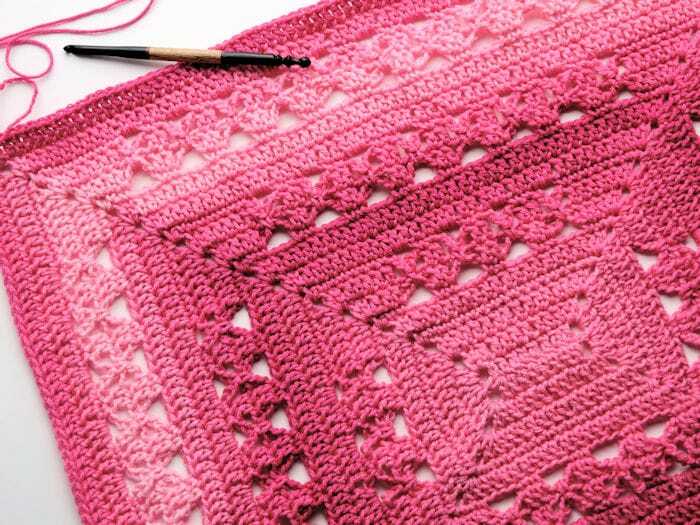 The individual single crochets shift slightly with each round so each cluster has to be placed precisely as instructed in order to get the look in the photo. 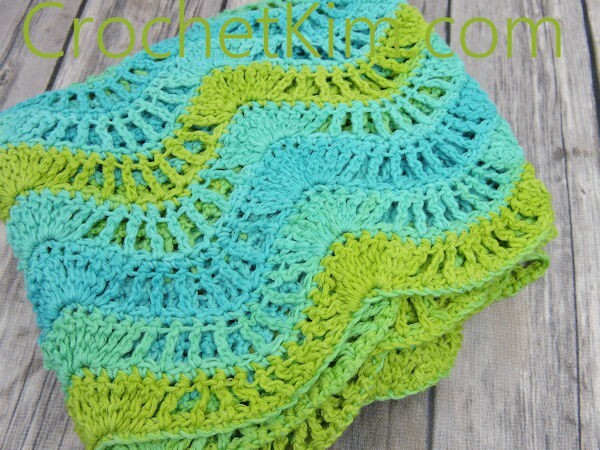 The stitch pattern shifts with the natural bias. Round 1: With color A, ch 76, without twisting length of chain, join with sl st to form a ring, ch 1, sc in each ch around, sl st to first sc: 76 sc. 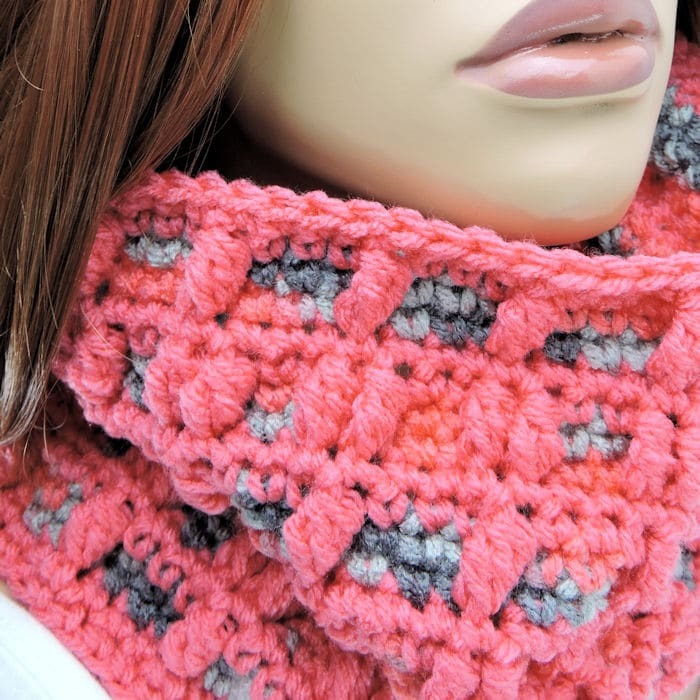 Alternatively, a foundation single crochet can be used instead. Round 2: Ch 1, sc in each sc around, sl st to first sc with color B, drop color A. Round 3: With color B, ch 1, sc in each sc around, sl st to first sc. Round 4: Ch 1, sc in each sc around, sl st to first sc with color A, drop color B. Round 5: With color A, ch 1, sc in first sc and in next 2 sc, *cl, sc in next 3 sc, rep from * to last sc, cl, sl st to first sc. Round 6: Ch 1, sc in each st around, sl st to first sc with color B, drop color A.
Rounds 7-8: Rep rounds 3-4. Round 9: With color A, ch 1, cl, *sc in next 2 sc, 2 cl, rep from * to last 3 sc, sc in next 2 sc, cl, sl st to first cl. Round 10: Rep round 6. Rounds 11-12: Rep rounds 3-4. Round 13: With color A, ch 1, cl, *sc in next 3 sc, cl, rep from * to last 3 sc, sc in last 3 sc, sl st to first cl. Round 14: Rep round 6. Rounds 15-16: Rep rounds 3-4. Round 17: With color A, ch 1, *2 cl, sc in next 2 sc, rep from * around, sl st to first cl. Round 18: Rep round 6. Rounds 19-20: Rep rounds 3-4. Round 21: With color A, ch 1, sc in first sc, *cl, sc in next 3 sc, rep from * to last 3 sc, cl, sc in next 2 sc, sl st to first sc. Round 22: Rep round 6. Rounds 23-24: Rep rounds 3-4. Round 25: With color A, ch 1, sc in first sc, *2 cl, sc in next 2 sc, rep from * to last 3 sc, 2 cl, sc in last sc, sl st to first sc. Round 26: Rep round 6. Rounds 27-28: Rep rounds 3-4. Round 29: With color A, ch 1, sc in first and next sc, *cl, sc in next 3 sc, rep from * to last 2 sc, cl, sc in last sc, sl st to first sc. Round 30: Rep round 6. Fasten off. With yarn needle, weave in ends securely.